The Morph transition allows you to animate smooth movement from one slide to the next. This video describes the concept and how to use the Morph transition, all in 90 seconds. You can apply the Morph transition to slides to create the appearance of movement in a wide range of things—text, shapes, pictures, SmartArt graphics, WordArt, and charts. 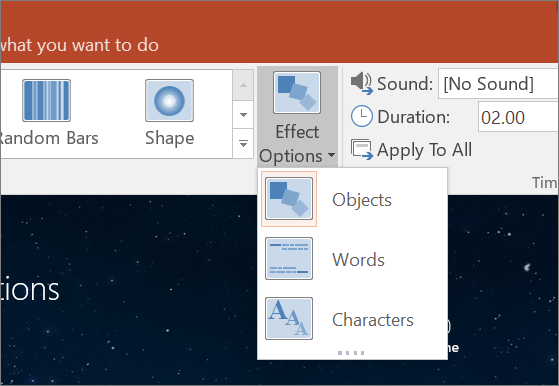 Note: Morph is available if you have an Office 365 subscription or are using PowerPoint 2019. For Office 365 subscribers using PowerPoint Online, Morph is available when you are using files stored in OneDrive for Business or SharePoint Online. In the Thumbnail pane on the left side, click the slide that you want to apply a transition to, which should be the second slide you added the object, picture, or words you'd like to apply the morph effect to. 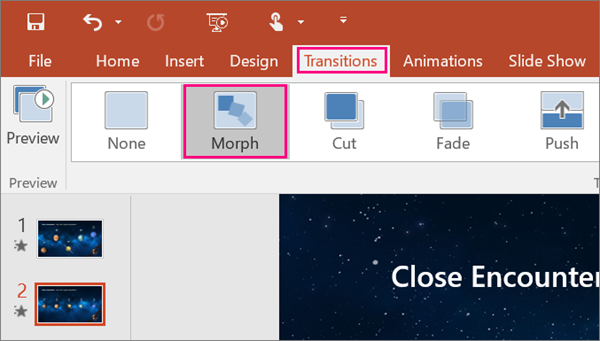 On the Transitions tab, select Morph. Note: In PowerPoint for Android, select Transitions > Transition Effects > Morph. Select Transitions > Effect Options to choose just how you'd like the Morph transition to work. You can move objects around on the slide, change colors, move words and characters around, and much more. Click Preview to see the Morph transition in action. Here's an example of how the Morph transition can seamlessly animate objects across slides. This is the second slide with the same objects after the Morph transition has been applied. 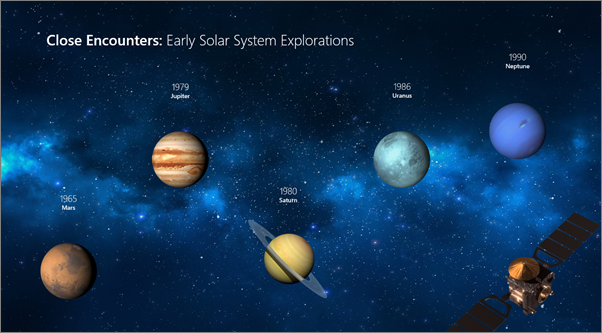 The planets moved without needing individual motion paths or animations to be applied to them. See the following table for details on the minimum version numbers required in PowerPoint to create or play back Morph transitions. Play a Fade transition instead of a Morph transition. An Office 365 subscription is required for creating a Morph in these mobile apps. 1 See Is my Office Click-to-Run or MSI-based? below. 2 The following Office updates must be installed. 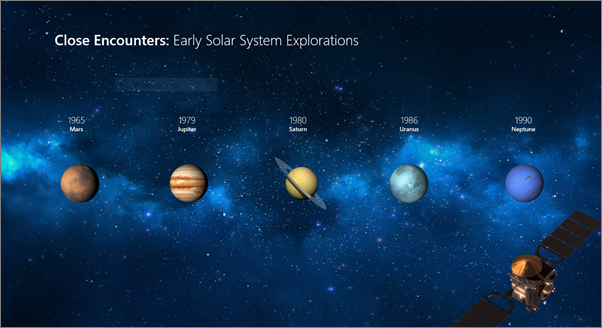 Without them, PowerPoint 2016 can't play a Morph transition, and instead it plays a Fade transition. If you've used Magic Move in Keynote, you'll find that Morph can do similar things.